Mark Pryor wanted to do a book trailer for his latest novel, The Blood Promise. Keeping it professional (or at least trying to), he has real fun with it. He also utilized some underage labor (his children). Mix all of this together and you get a really funny book trailer for a really great mystery series. Nate Southard is a new addition to the crime fiction genre, crossing over from his previous experience writing horror. Like Tom Piccirilli and David Schow, Southard uses his skill at mining the dark side to look at the human horror in our lives. He moves into the genre seamlessly with Pale Horses. 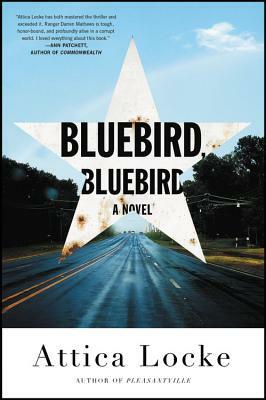 The book involves the murder of a woman that affects the lives of two men in a small Indiana town. Sheriff Hal Kendrick is one of the lawmen on the case. He’s trying to hide the fact that he is in the early stages of Alzheimer’s. This is poignantly established in the first chapter. In the scene, Kendrick is preparing to go out to the crime scene while talking to his wife whose name he struggles to remember. The main suspect in the murder is Korey Hunt, a vet from Iraq, who is suffering from PTSD. Ostracized in town, Hunt lives with his mother, struggles to cope and often falls into a pattern of self-medicating at the local tavern. His violent outbursts and black-outs even make him doubt his own innocence. The investigation pushes both men over the edge. Hal struggles to hide his condition as it gets worse, pushing away those closest to him. Korey’s mental state takes him further and further from finding peace; returning him to the violence in Iraq. Southard gives an insightful look into how both characters are marginalized – the treatment society gives to the walking wounded. Much like his past horror novels, Southard has created a town that must know its own descent into Hell to pay for its sins. Pale Horses paints a portrait of modern rural America. Southard populates the place with vivid characters from it’s bar denizens, to easy going but sharp lawmen, and a villain with a Christina Ricci obsession. His women are strong, but strained from picking up the pieces of the broken men in their lives. Most impressive is the journey of the life of the victim prior to the crime. She comes alive in a way that keeps the story crisp. Pale Horses is a novel that takes you over, subtly. Fusing genres and subgenres, it defies whatever predictions you have of it, leaving you with a feeling you just can’t shake. If Nate Southard decides to spend more time in crime fiction, he’ll be most welcome. 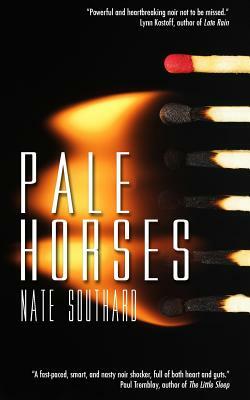 Copies of Pale Horses are available on our shelves at BookPeople and via bookpeople.com. The first two Samuel Craddock books I wrote came to me without much thought as to “what happens next?” in the series. But when I contemplated writing the third book, I suddenly realized that I had some big decisions to make. Would Samuel age in my books? Would he develop and grow, or would he stay pretty much the same? Would Samuel always be an ex-chief of police, or would he officially slip back into the role of chief? How many crimes can one small town support? Would I continue the same characters, or would some of them disappear, one way or the other? My editor suggested that I do a “prequel.” When would be the appropriate time to tuck it into the series? What about Samuel’s love life? Would he continue to mourn his ex-wife or would he take up with one of the women around him? Or, would a new person come to town? I discovered that I had answers for most of these questions. I read series and in my favorites, characters change. In my first book, A Killing at Cotton Hill, Samuel was a man looking for purpose in life after his wife died. All his qualities—his strong sense of responsibility, his humor and decency–are there from the beginning, but he has no place to focus them. Investigating the death of an old friend reawakens him to his abilities. I want him to continue to learn new things about himself and the world around him. I want the town to change, and Samuel to change with it. If Samuel is to continue to grow more confident in his role as an investigator, that means that I, as a writer, also have to grow—I have to learn more about what a small-town lawman is expected to do. Not that I have to include every detail in the books—but I have to know the reality of what would happen in tight situations. I started researching guns and discovered that I couldn’t possibly learn everything about guns by simply reading. There’s a weekend police workshop for writers that I can’t wait to take so I can put myself in Samuel’s shoes. I also had to research the structure of Texas crime prevention forces. Who really investigates serious crime in small town Texas? What is the role of the Texas Highway Patrol (hint: it’s a lot more than just chasing speeders). And what about the Texas Rangers? How did they fit into the mix? Having grown up in Texas, I knew something of their notorious reputation. How much of that was true? Had it changed? How were police chiefs selected in small towns? By ballot? Were they chosen by the county sheriff? And what did they really do? What I discovered is a hodge-podge of crime prevention and investigation. In other words, it was a writer’s dream—whatever I made up would probably be true somewhere, in some small town in Texas. As for the question of how many crimes I can set in a small town, people are fond of pointing out that some of the best series happen in small towns. And what I discovered is that in reality there is more mayhem in small towns than you might imagine. Still, I wanted to mix things a little and not just do one book after another in Samuel’s hometown. The first book happened outside of my fictional town of Jarrett Creek. Books two and three happen in Jarrett Creek, each with a different focus. Book four I’m going to set in Bobtail, the fictitious county seat. And because of the art theme that runs the book, I will be taking Samuel somewhere outside of Jarrett Creek to investigate a to-be-determined crime centering around art. And then there is the prequel. I think I can keep going for a nice, long series. As for whether the same characters will continue, the book has quite a few geezers in it and we all know what eventually happens to geezers. Somebody, in some book, has to go. I don’t know who it will be, but it’s inevitable. Also, with a man who still has vitality and interest in the world, Samuel will eventually become interested in another woman. Stay tuned…it’s going to happen. And then the next question will be, how far do I follow him into the bedroom. Yikes! More decisions. Terry Shames will be in the store TONIGHT at 7PM speaking & signing copies of her latest book, The Last Death of Jack Harbin. MYSTERYPEOPLE: How different an experience was writing the second book in the series as opposed to the first? TERRY SHAMES: I almost feel as if the first two books were one big project. As soon as I finished the A Killing at Cotton Hill, I immediately began The Last Death of Jack Harbin. It took me about eight months total to write both books from the beginning of the first to the polished draft of both. I don’t know how or why it happened so fast, but I was happy to go with it. So the answer I’m going to give you is about book three. I’m having a tiny little nervous breakdown about it. I have several Craddock books in mind, and thought that the one I’m working on now would be the best to move the series forward. I wrote the first draft quickly, but was dissatisfied with it. Right about the time I was beginning to be nervous about it, my editor said he needed it fast…and that’s when I began to panic. Suppose this third book was a poor shadow of the first two? Before the first book was published, I never needed to worry about anyone’s opinion but my own. Suddenly, I have readers to satisfy. That’s the best dilemma in the world for a writer—but still a dilemma. I threw myself on the mercy and competence of my writers group, and they assured me that the changes I need to make are cosmetic – Oh sure, it’s only cosmetic to throw out one entire story line? To ditch a couple of characters? To jettison the first two scenes? But their advice only confirmed what I already knew. I’m still nervous but at least I’m not ready to ditch writing and become a plumber. MP: Your victim is a young disabled vet. What did you want to convey about today’s vets? TS:Good question about vets. In writing about Jack Harbin’s situation, I hoped to illustrate something that really bothers me these days about how people treat veterans. People are perfectly willing to send young men and women off to fight wars to “keep us safe,” and they are willing to spend trillions of dollars to keep the wars going. But they aren’t willing to spend the money to support these young warriors when they come home damaged physically and/or mentally. I think it’s a disgrace. And the fact that there isn’t a good support system for these young men and women means that they are prey to scams and mistreatment. MP: Guilt seems to be the big emotion in The Second Death Of Jack Harbin. What did you want to explore about it? TS: I hadn’t really thought of the book as exploring guilt, but your question made me think about it, and it’s true. Jack’s high school friends, Taylor and Woody, his mother, his friend Walter, and even Samuel himself are haunted by misreading situations in the past and making decisions that they believe were misguided. They believe things could have been different if they had made better decision. People deal with the guilt in different ways, but everyone is changed by it. For some people it engenders a determination to do better or to make amends, like Woody and Walter. Others are crippled by it, like Jack’s mother. And then there are those who have no capacity to feel guilt. A lack of remorse is at the core of sociopathic behavior. I’m thinking of the dastardly Walter White in the recently concluded Breaking Bad. He feels a whole range of emotions, but guilt is not one of them. Jack’s brother, Curtis, is a little like that, though he doesn’t act it out so dramatically. He could help Jack if he chose to, but it doesn’t occur to him, and he feels no guilt at all about it. Guilt is a useless emotion unless action follows on its heels. I admire Woody for wanting to find a way to assuage his guilt through action- even if his plan is a sadly impractical…At its most basic use, punishment is a way of letting the guilty atone for their guilt. I wonder if the guilty party in The Last Death of Jack Harbin feels some relief, knowing that there is a way to pay for the crime? MP: What compels Samuel to always come out of retirement to investigate? The simple answer is that Samuel feels a sense of responsibility to his community. Because of his reputation, he has always been a fallback when the current chief of police isn’t up to the task. I talked to one of my readers who adored Samuel. She said, “We all need a person who looks out for us.” The larger question is, where does this sense of responsibility come from? In a way, it’s a stance that has a certain amount of hubris—Samuel feels as if he has the strength and ability to make a difference in people’s lives. As I’ve developed Samuel, I’ve noticed similarities between writers and lawmen. Both are observers and in a sense live apart. And both can use their jobs as a way of bringing justice to a situation. The hubris part I’ll leave for others to comment on. MP: Which supporting character did you have the most fun writing? TS: It sounds sappy, but I love all my characters—even the killer. Most of my characters are fully developed people in my mind. I know their hopes and dreams, their strengths and shortcomings. So who is most fun to write, the good guys or the not-so-good guys? In this particular book, I have to say I enjoyed writing Walter Dunn. I didn’t have to work to discover his character—he jumped onto the page and told me who he was from the first time he showed up on his motorcycle. I liked him from the beginning and grew to have great respect for him, as I think Samuel does. MP: As someone who writes about where you used to live, do you have to do anything special to write about Central Texas in Northern California or are your memories that clear? TS: I read somewhere that James Joyce couldn’t write about Dublin until he moved away. Not that I compare myself to James Joyce, but I think it’s true of some writers that we don’t see a place as clearly until we leave it. I go back to Texas often to visit relatives, so it isn’t as if I’m marooned in California. But what interests me is what happens when I go back to the town that I based Jarrett Creek on. I always have a sense that I’m enveloped by it. I never lived there; my grandparents did. But it always had a hold on my imagination. Now, when I got there, I drive whoever I’m with crazy because all I want to do is walk around. That’s all. I don’t have to go inside anywhere, I don’t have to talk to anyone. I just want to smell the air that seems particular to that place; feel it on my skin; hear the sounds of birds and wind in the trees; see the color of the grass; the architecture of the houses; the composition, smell and look of the soil; the constantly changing color and clouds of the sky. Here’s the funny part: I could never live there. I hate the climate—it’s muggy and hot much of the year. Nevertheless, I carry a little piece of it with me, and I cherish it. 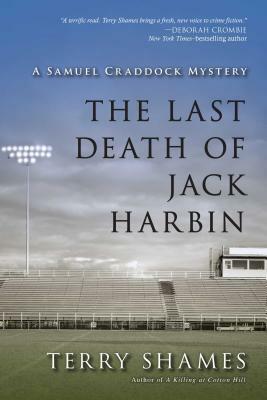 Terry Shames will be in store Monday, Jan 27 at 7PM speaking & signing The Last Death of Jack Harbin. 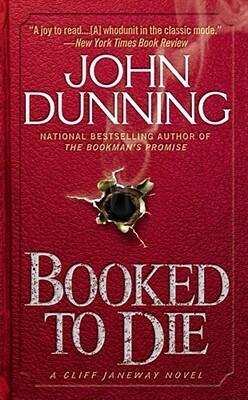 Pre-order signed copies of the book via bookpeople.com. Terry Shames showed amazing promise last summer with her debut, A Killing At Cotton Hill. The book, featuring her series character Samuel Craddock, a widowed retired Chief of Police, looked at issues of aging and community in a small Texas town. In her follow up, The Second Death of Jack Harbin, she digs even deeper into Craddock’s story. Before his own life is cut short, death seems to be a regular part of the title character’s life. Jack Harbin, the former high school football player, witnessed plenty of death in Iraq before he lost his sight and legs in the war. At the beginning of the book, his father and caretaker dies of a heart attack. Then, Samuel finds Jack brutally murdered in his home while stopping by to check in on him. Asked to look further into the killing, Samuel uncovers a shady V.A. home, issues with the local football team, and other dark and complex revelations . Much of the mystery seems to center on a love triangle between Jack, his former best friend, Woody Patterson, and the woman they both love – she married Woody when Jack went off to fight in the war. In Shames’s world and writing, still rivers run deep. She subtly looks at the effects of war on a small town, the town’s passion for high school football, tested friendships, and broken dreams. Her nuanced touch makes it a truly moving novel. Samuel may have solved the murder, but not the issues surrounding it. The best he can do is serve witness. With his even temper and experienced insight, that may be even more important. The Last Death Of Jack Harbin is a moving mystery. Like A Killing At Cotton Hill, it focuses on parts of our society we don’t look at enough in a true and engaging fashion. Terry Shames has exceeded expectations for her second book and set higher ones for her third. MysteryPeople welcomes Terry Shames to BookPeople on Monday, Jan 27 at 7PM to speak about & sign copies of The Last Death of Jack Harbin. Usually the Hard Word Book Club discusses short, punchy novels. Many times we read books under two hundred pages. Get ready for a work out this month, though, with The Twenty-Year Death by Ariel Winter, coming in at a little over six hundred pages. In fact, the novel is three books in one; each reflects a classic author who was writing at his peak in the time period the story is set in. The first takes place in the 1930s with a French inspector- in the vein of George Simenon’s Maigret – who looks into the death of a prison inmate killed outside the prison. 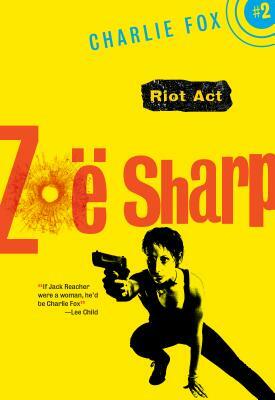 He becomes drawn to the victim’s daughter who is married to an American writer, Rozenkrantz. We then go to the 1940s in LA with a Raymond Chandler-style PI hired to protect a daughter who is now an actress. The third tale is a Jim Thompson-esque downward spiral of Rozenkrantz. By the end the sum of all three books creates a fourth novel. 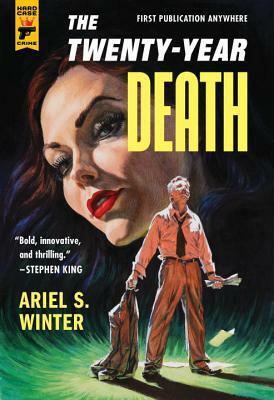 The Twenty Year Death will provide a great discussion about style, genre, character, and the different authors Winter deftly imitates. We’ll be meeting up at 7PM on the third floor on January, Wednesday the 29th. The book is 10% off for those who attend. Next month, on February 26th, we’ll be discussing Jedidiah Ayres’ F*ckload Of Shorts. The Mystery Writers Of America announced this year’s Edgar Award nominations. You can personally congratulate one of the Best Novel nominees, Ian Rankin, when he’s here at BookPeople on January 28th with his latest Rebus novel, Saints of the Shadow Bible. See the nominees in all categories. Congrats to them all!